" Если наша музыка помогает людям избавиться от хандры и депрессии – значит, мы не делаем ее не зря." 7 сентября 2014 года группа Marcheba примет участие в фестивале Terres-Rouges Festival, в городе Эш-сюр-Альзетт (Люксембург). strict warning: Non-static method view::load() should not be called statically in /var/www/aviurk/data/www/morcheeba-fan.com/sites/all/modules/views/views.module on line 906.
strict warning: Declaration of views_attach_plugin_display_node_content::options_submit() should be compatible with views_plugin_display::options_submit(&$form, &$form_state) in /var/www/aviurk/data/www/morcheeba-fan.com/sites/all/modules/views_attach/views_attach_plugin_display_node_content.inc on line 248.
strict warning: Declaration of views_handler_argument::init() should be compatible with views_handler::init(&$view, $options) in /var/www/aviurk/data/www/morcheeba-fan.com/sites/all/modules/views/handlers/views_handler_argument.inc on line 744.
strict warning: Declaration of views_handler_filter::options_validate() should be compatible with views_handler::options_validate($form, &$form_state) in /var/www/aviurk/data/www/morcheeba-fan.com/sites/all/modules/views/handlers/views_handler_filter.inc on line 607.
strict warning: Declaration of views_handler_filter::options_submit() should be compatible with views_handler::options_submit($form, &$form_state) in /var/www/aviurk/data/www/morcheeba-fan.com/sites/all/modules/views/handlers/views_handler_filter.inc on line 607.
strict warning: Declaration of views_plugin_row::options_validate() should be compatible with views_plugin::options_validate(&$form, &$form_state) in /var/www/aviurk/data/www/morcheeba-fan.com/sites/all/modules/views/plugins/views_plugin_row.inc on line 134.
strict warning: Declaration of views_plugin_row::options_submit() should be compatible with views_plugin::options_submit(&$form, &$form_state) in /var/www/aviurk/data/www/morcheeba-fan.com/sites/all/modules/views/plugins/views_plugin_row.inc on line 134.
strict warning: Declaration of views_handler_filter_boolean_operator::value_validate() should be compatible with views_handler_filter::value_validate($form, &$form_state) in /var/www/aviurk/data/www/morcheeba-fan.com/sites/all/modules/views/handlers/views_handler_filter_boolean_operator.inc on line 159.
strict warning: Declaration of views_plugin_style_default::options() should be compatible with views_object::options() in /var/www/aviurk/data/www/morcheeba-fan.com/sites/all/modules/views/plugins/views_plugin_style_default.inc on line 24. 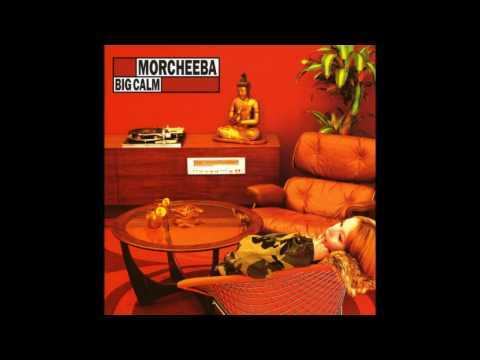 © Русскоязычный фан-сайт группы Morcheeba.Копирование информации разрешено только с прямой и индексируемой ссылкой на первоисточник.